The perfect size! With our Skull & Cross Bones! 10 flat, Small Notes with matching square flap envelopes. 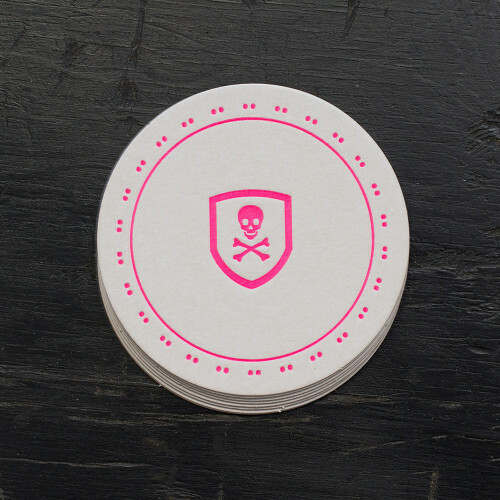 Size: 3 1/2″ x 5″ Each card individually printed on an antique letterpress in Hot Pink Ink. Hand rounded corners. 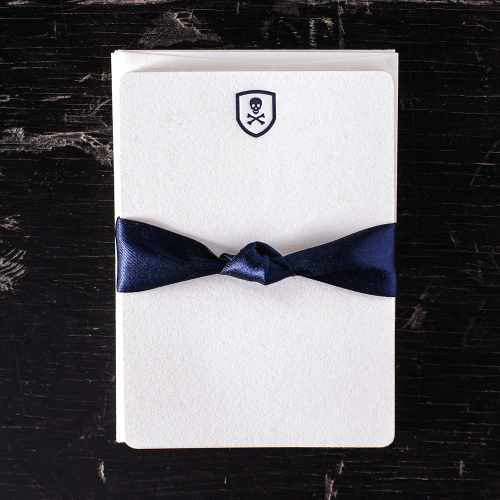 Luxurious, 100% cotton, 110 lb card stock in Pearl White. Personalization available by contacting us at info@ancesserie.com or 678-835-7689. 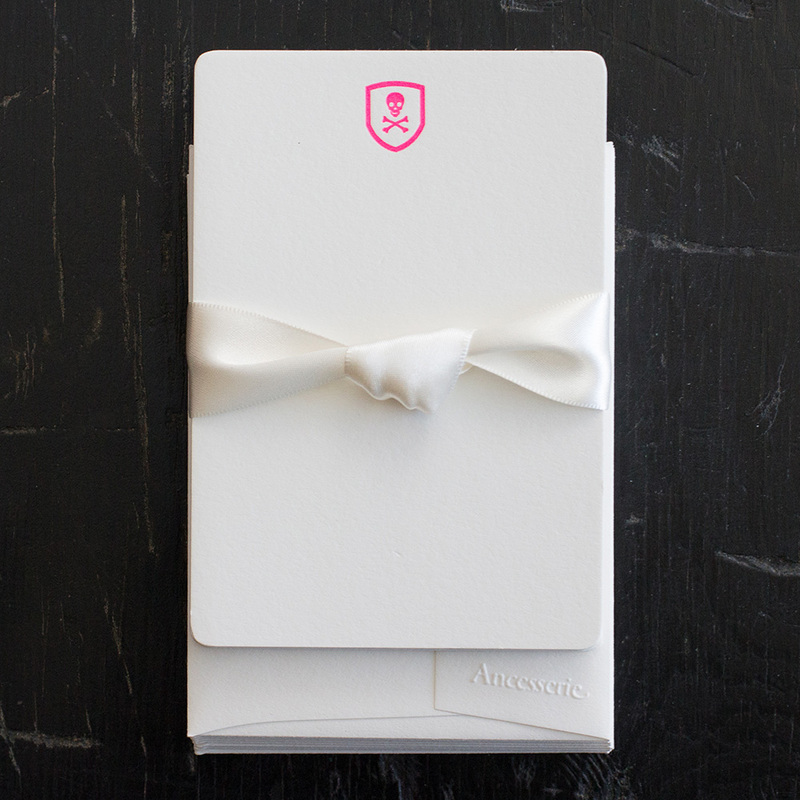 Ancesserie only uses the finest papers available for our letterpress goods. All are eco-friendly and take to your ink pen beautifully. Please allow up to 72 hours to process and fill your order.